Lake Front Luxury near Ft. Myers Beach! Private Elevator! HDTV! Welcome to your vacation home. We have spared no expense furnishing our 3 bedroom, 2.5 bath, 2-story townhome. Take the private elevator to the bedrooms on the 2nd floor. Sail Harbour is just minutes from Ft. Myers Beach and is nestled on a private lake. 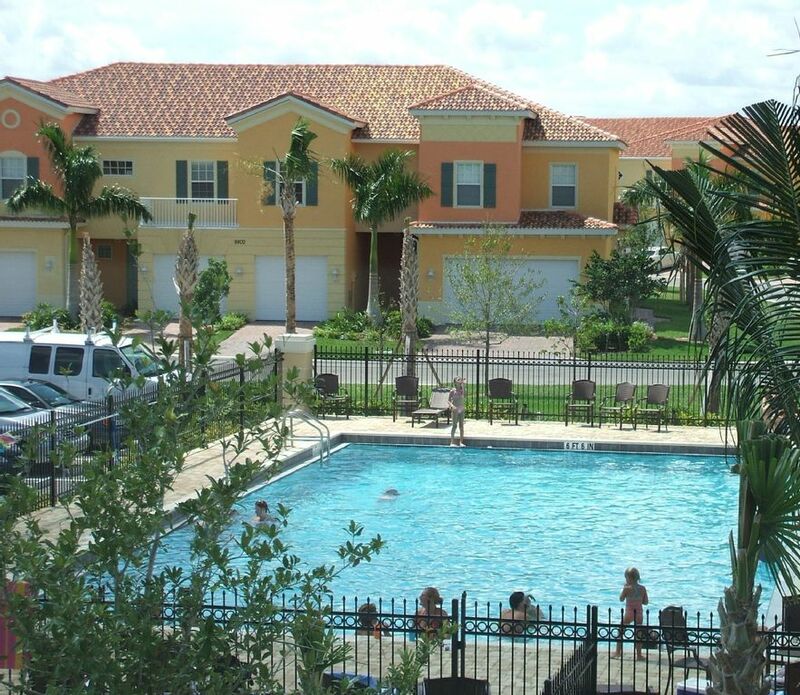 This is an exclusive, gated community w/pool and access to shopping & restaurants. The kitchen is fully equipped to meet even the most demanding of culinary expertise – well appointed with granite counters and stainless steel appliances. The master bedroom is equipped with a king size sleep number bed and a 37 in HDTV w/200+ channels. The 2nd bedroom is equipped w/queen size bed. The 3rd bedroom has twin bunk beds. Great experience. Condo was extremely clean, comfortable and well appointed. Great location close to beaches, shopping and Sanibel causeway. Would highly recommend and will definitely return when looking for a place to stay in Ft. Myers. I wish I could give this property 10 stars. Everything about this home was perfect. It is emmaculate. It had everything we needed for our 7 day stay. The neighborhood is so quiet and peaceful. It is gated so I felt very safe here. The guards were all very nice. The pool area is super clean. The beach is only 4 miles away. The whole Ft Myers area is absolutely perfect. I could not have asked for a better location for a superb spring break. I cannot wait to return. Tha condo is perfect for us. It is well appointed, in a quiet neighborhood, close to the islands, restaurants, shopping, and very comfortable. The lake and fountains behind it are a great feature to enjoy on the lanai. We love that there is a garage, and the elevator is great when we arrive and pack up to leave. We've very much enjoyed getting to know Tim. Although weather didn't cooperate much this time there are plenty of things to do. Location is off the beaten path so not over crowded. Only a few miles to fort Myers beach, Sanibel, airport and shopping. Pool is only blocks away. People walking and biking regularly. Great community. Townhouse has everything we could possibly need. Great place to stay. Close to everything. Beaches not far, pool in walking distance, loads of restaurants Tim is friendly and easy to work with. Coming back next year. Can't wait. Sail Harbour is located just minutes from World-Class Shelling Beaches. The areas finest health-care facility is just across the lake. With easy access to world class shopping, tons of restaurants, and of course the best beaches on the planet, you will find yourself wishing you could stay, forever! We welcome you and encourage you to invite your friends and family to stay with you. We love it here and hope you will too. Multiple months = Discounts Rates include local phone calls and utilities. $100 HOA fee required. $500.00 security deposit required.